Unfixed media Pt 1 is an electro magnetic interrogation of a CD player as it goes through its various functions of playing, skipping, pausing and ejecting recorded media. The various electromagnetic fields produced by the player are picked up and amplified by two moving microphones. 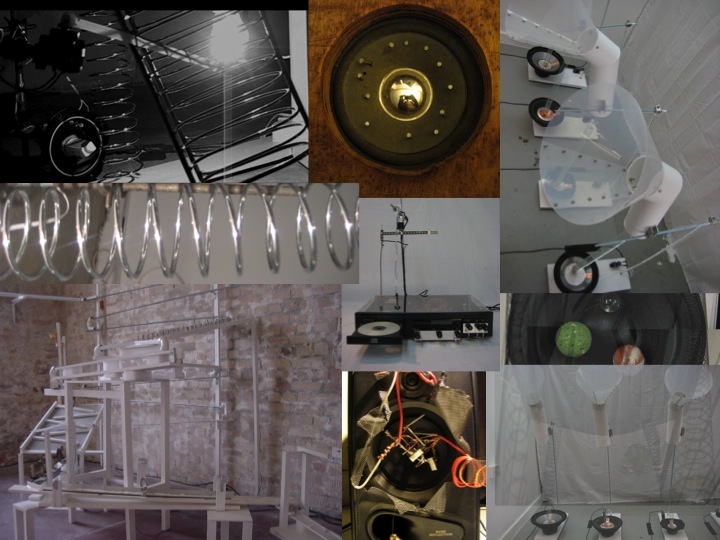 The resulting soundscape of audible electronic interference illustrates how the fields manifest in space around the unit, and, how the microphones are dynamically exploring that space. The piece is a forerunner to Electromagnetic Interrogations. The CD being played by the unit contains a recording of the sea and intermittently this is heard among the electromagnetic noise. The two sounds are remarkably similar and they mix and merge to create a noise borne equally of the natural and technological worlds. The piece was first exhibited at the Telenesia exhibition at Quay Arts in autumn 2011.